It's common for Mac users to open and play videos on Mac OS including the latest version MacOS High Sierra. However, when playing AVI on MacOS High Sierra, you will get stuck for Mac system doesn't support AVI format. Any smart approach to play AVI with MacOS High Sierra on Macbook, Macbook Pro/Air, iMac, Mac mini without a hitch? The answer is YES! The below part will share with you the simple 3 solutions to play AVI on MacOS High Sierra free of any issues. Pick the best solution you need. The first solution for playing AVI on MacOS High Sierra is to install a QuickTime alternative player like MPlayer or VLC. 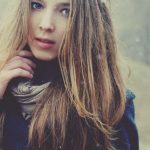 But if you are a newbie, you can choose Dimo Player for Mac to freely play AVI files on Mac computer perfectly. It plays AVI video in 720p, 1080p, or 4K UHD on MacOS High Sierra, Mac El Capitan, Yosemite, OS X 10 without freezing or buffering. It takes no time to fully load AVI file. The player for AVI also plays MKV, FLV, MOV, MTS, MP4, MP3 music, AAC, to name just a few. Another highlight feature is that it can wirelessly share video on Mac to mobile devices or TV. This means that you can watch AVI on Mac, iPad, iPhone, even on TV with no limits. 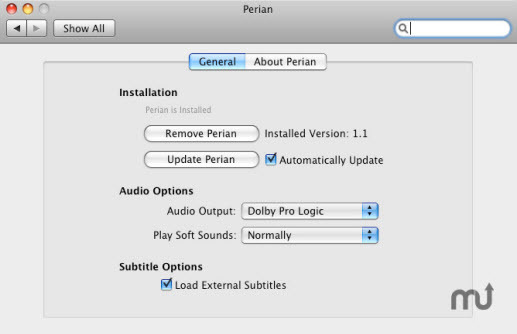 Play AVI File on Mac with QuickTime Plugin Perian play AVI on Mac via QuickTime Perian With Quicktime plugin - Perian, you can play AVI video movie in HD, SD on any Mac OS X 10.6.8 or later, El Capitan, Yosemite, needless of AVI player for Mac. The plugins also enables you to play other QuickTime unaccepted formats, MKV, FLV, DivX, and many more. Perian is not perfect, though. It only works with QT 10 or lower for it stops being updated. You may still have some problems when playing AVI on Mac. Some users can not fast forward AVI file that has not been fully loaded. So it's better to use AVI video converter to convert the file first and watch AVI on Mac freely, or jump to solution 3, resort to a AVI player for Mac. As a container format, AVI is not a specific type of file and there is no single codec for videos with .avi externsions. This is the reason why you can't play AVI movies with Quicktime on Mac. What you need to do is to convert AVI to Mac/QuickTime friendly MOV format for playing on MacOS High Sierra easily. 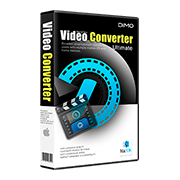 To do this, you can use Dimo Video Converter Ultimate for Mac to help you. This professional video converter is fully compatible with MacOS High Sierra, El Capitan, Yosemite, Mavericks. With it, you can easily encode AVI to MOV on MacOS High Sierra 10.13 while keeping the best video quality. The conversion speed is quite amazing - it converts 720p 1080p 4K AVI video file on MacOS High Sierra with 50X real time faster speed, than common AVI to MOV converter freeware for macOS Seirra. Well-designed UI makes it very easy to convert AVI to MOV on MacOS High Sierra even for novice users. For converting AVI on Windows, you can get Dimo Video Converter Ultimate. Just download and install the software to get its wonderful benefits. 1. Import source video to the best AVI Video Converter for MacOS High Sierra by directly drag and drop. Alternatively, you can click "Add file" button to load the AVI video files. 2. Click on "Select Format" bar to select output format. This video app offers the QuickTime Movie Format for you. You can choose "Format -> HD Video -> HD MOV" as the output format. 3. Finally, click the "Start" button start converting AVI on MacOS High Sierra. 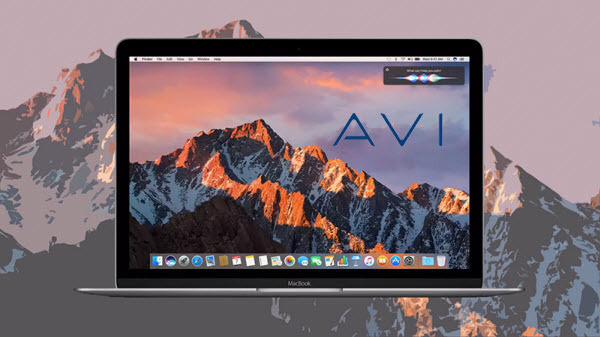 After the conversion, you can transfer and play converted AVI files via MacOS High Sierra 10.13 on Macbook, Macbook Pro/Air, iMac, Mac mini, etc. with the best quality. The whole conversion process is just in 3 steps. If you don't want to install too many players on your Mac and want to stick with iTunes or QuickTime player for watching movies, we highly recommend this solution. Refer to "MacOS High Sierra Media Playback FAQs" or contact us if you have any issues.